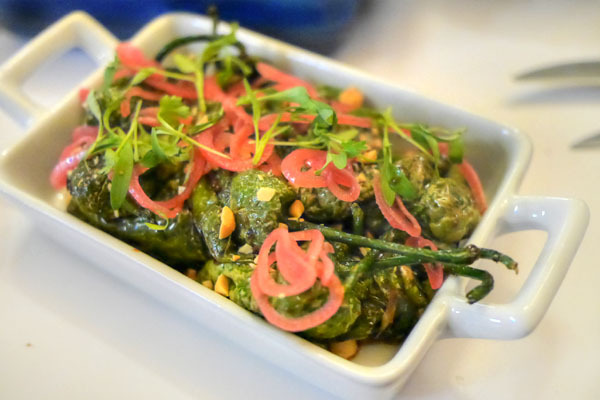 The latest entrant into Paul Hibler's American Gonzo Food Corp debuted on April 11th, joining the ranks of East Borough, Superba Snack Bar, Pie Society, and Pitfire Artisan Pizza. 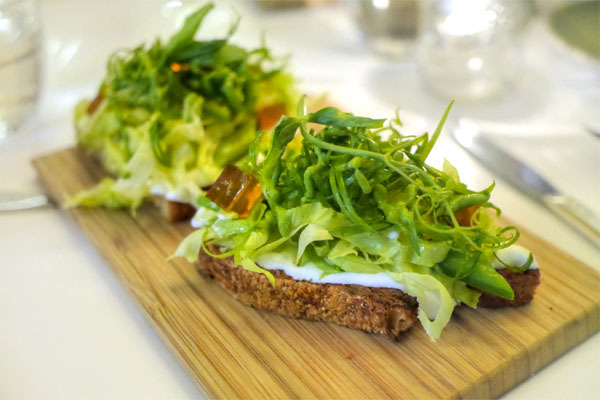 Superba Food + Bread is an all-day eatery, a bakery-cafe-coffee bar-wine bar-dinner spot all jammed together in a building that used to house an auto body shop. 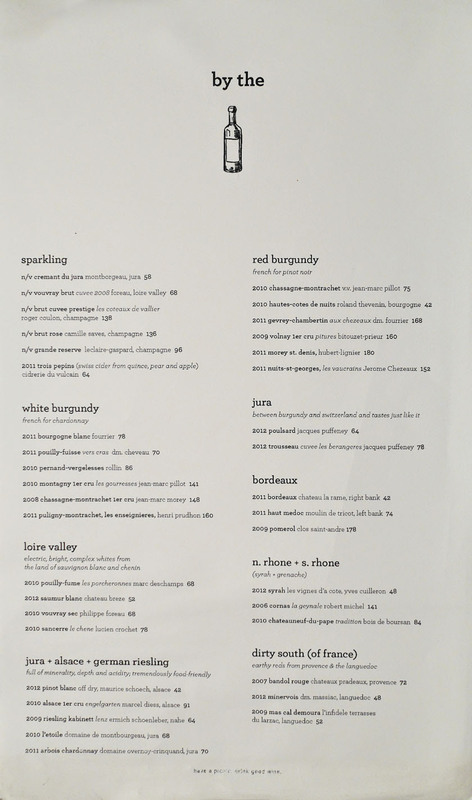 Envisioned all the way back in 2012, this place was supposed to be helmed by Jason Neroni from the original Superba (who's since decamped), but nowadays, Littlefork's Jason Travi's in charge. He's joined in the kitchen by Pastry Chef Lincoln Carson (former corporate pastry chef for Michael Mina) and head baker Jonathan Eng (Le Pain Quotidien). 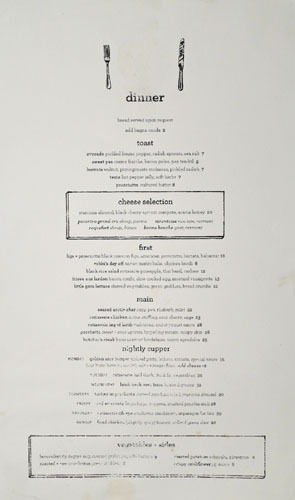 The restaurant features no less than six menus: breakfast, lunch, weekend brunch, afternoon, dinner, and bakery. We were here, obviously, for dinner, and the carte was filled with the sort of modern-rustic-seasonal cooking that you'd expect from Travi. 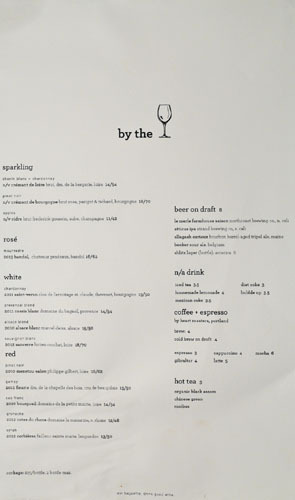 To drink, you get a reasonably-sized wine list, some beers, as well as coffee from Heart Roasters (a change over from Stumptown). Click for larger versions. 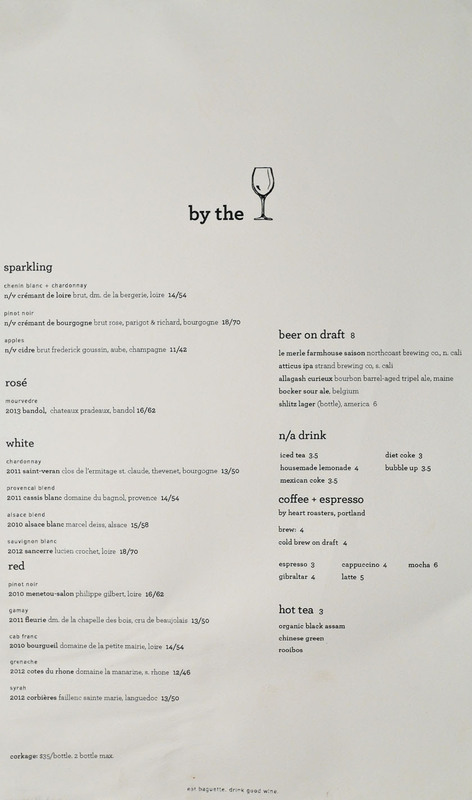 I ended up bringing my own beers this evening (corkage was waived), starting with the oft-bandied-about, hard-to-find Logsdon Peche 'n Brett, a saison brewed with, as the name would imply, peaches and Brettanomyces. 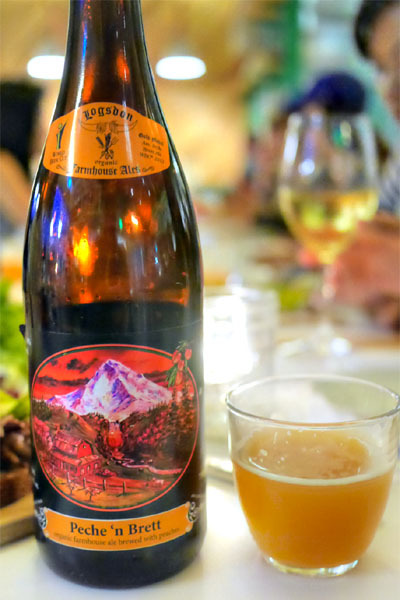 This was a pretty cool one, with loads of sweet, juicy stonefruit on the nose, though less on the palate, where the Brett character really shined with its funky, herby qualities, the whole thing finishing dry. 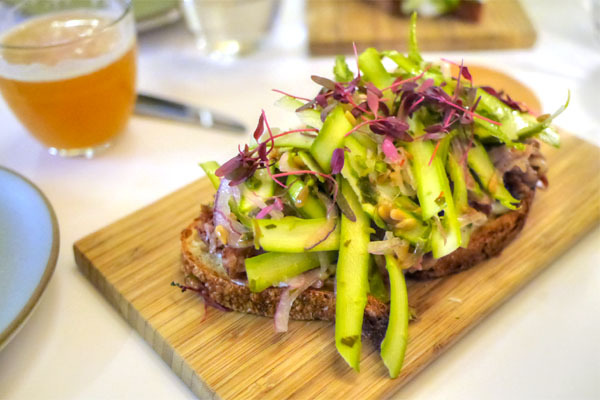 Superba features a wide selection of various bruschetta-esque "toasts," and the pea version was a nice way to kick things off, the inherent sweetness of the vegetable really commingling well with the tangy spread of crème fraîche while the greenery gave up a light, bright crunch to things. Interesting hit of salt, too, from the bacon jelly. I think the consensus was that the avocado toast was our favorite of the bunch. 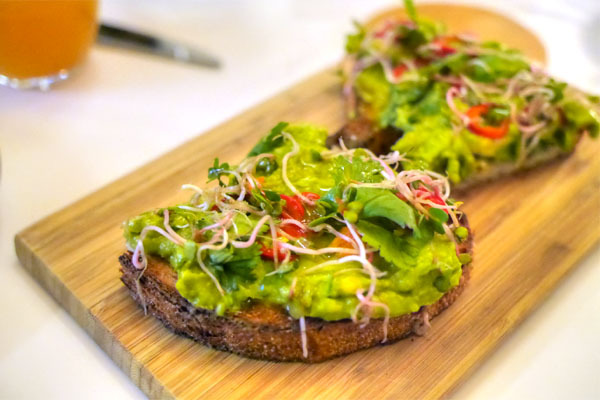 The key here was how the lushness of the avocado paired with the slightly astringent character of the sprouts, all while sea salt and Fresno adding contrasting jolts of salt and heat to the mix. Great integration with the actual bread here, to boot. Our final toast was a special this evening, and featured prime rib paired with its traditional accompaniment of horseradish, with asparagus contributing a counterbalancing bit of bitterness and crunch. Quite tasty. 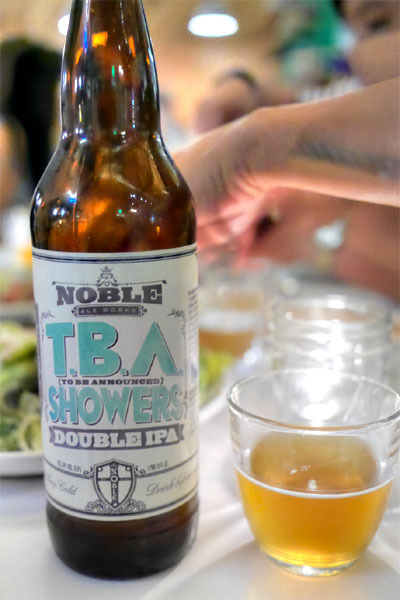 For my next beer, I went with an IPA, the Noble Ale Works TBA Showers (TBA because the hop varietal used, HBC366, hadn't been given a name yet--it's now known as Equinox). The fifth entrant in Noble's highly desirable series of limited production single hop beers, I found it a great example of the style, with plenty of hop bitterness intermixed with juicy notes of citrus and tropical fruit, the whole shebang underpinned by a subtle malt character. 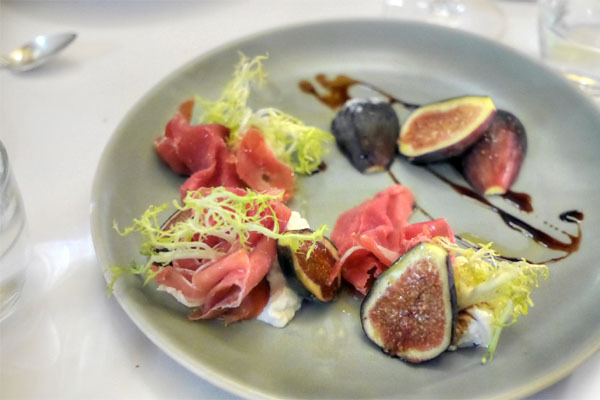 Moving on into the starters now, the classic combo of figs, prosciutto, and cheese was done justice here, a mishmash of sweet, salty, sour flavors tied together by the richness of that burrata. 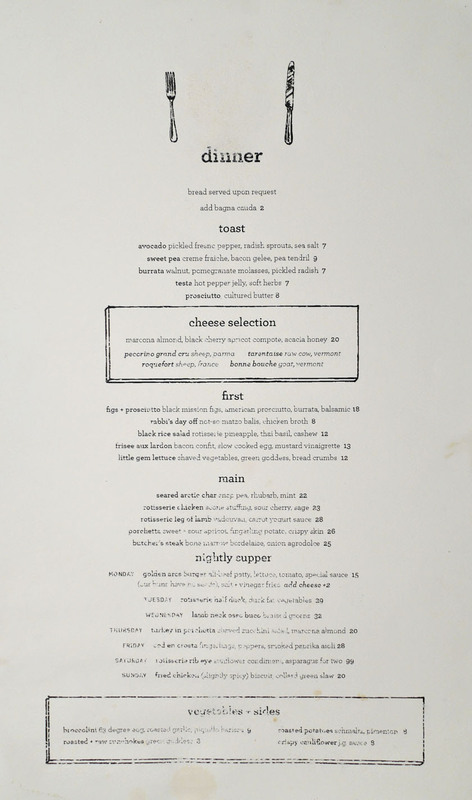 I liked the levity imparted by the frisée here, too. 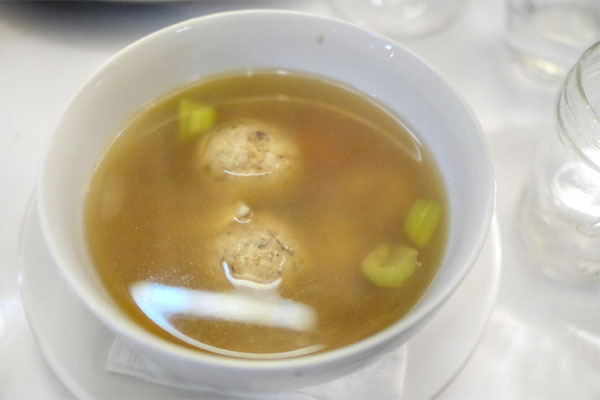 A take on the traditional matzah ball soup really was classic in essence (even though the balls were composed of cheese, breadcrumbs, and lard), with robust flavors of chicken to pair with the fluffy, float-y spheres. 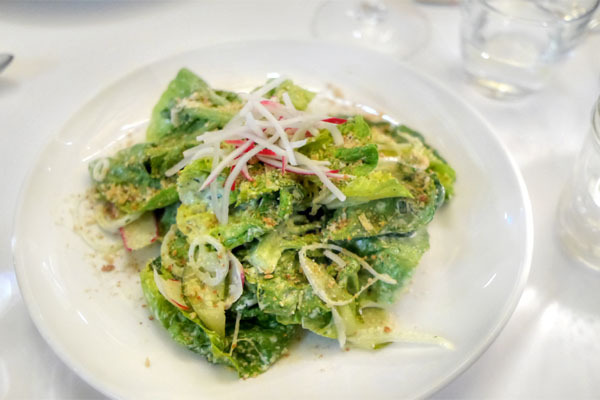 A salad of little gem was a surprise standout, the crisp, crunchy shards of lettuce going quite well with the breadcrumbs here, all while the green goddess dressing served to tie everything together. 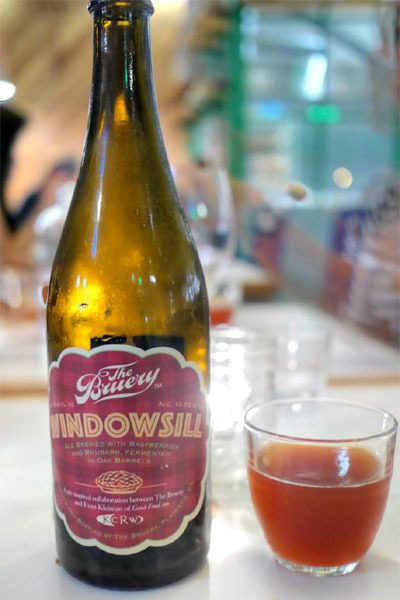 Bottle #3 was something that I'd been trying to get my hands on for a while, The Bruery Windowsill, a one-time-only, oak-aged bottling done in collaboration with KCRW's Evan Kleiman. Inspired by rhubarb-raspberry pie, this one smelled of tart berry flavors and tasted of it as well, with a bready, funky quality to balance things out. Very neat, and a very drinkable sour beer. 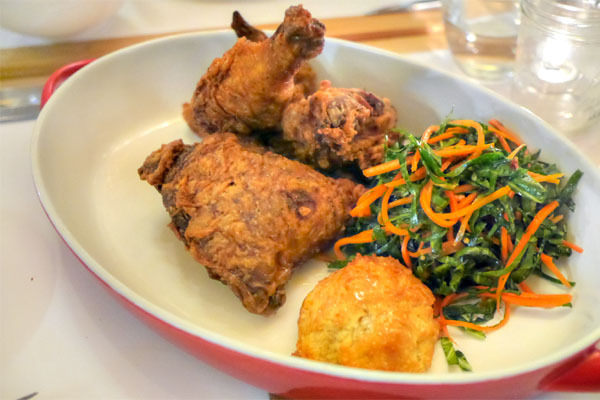 Superba features a list of nightly suppers, and Sunday's was fried chicken, so you know we had to oblige. It was a laudable presentation of the American classic, the bird coming out appropriately tender, succulent, and crisp, with a great bit of spicing to it. Lovely biscuit, too. 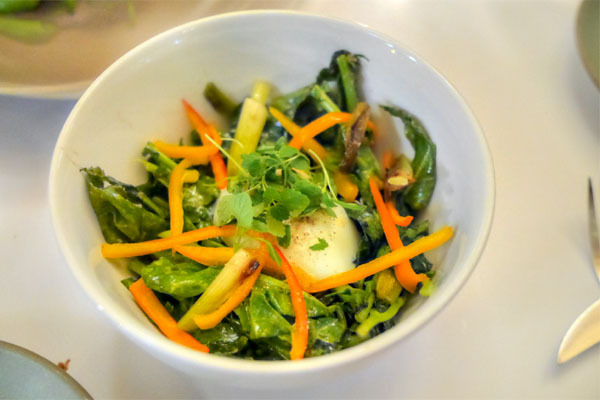 In our first side, broccolini was smartly paired with egg and harissa, the bitterness of the veggie serving as a fitting base for the runny egg and piquant pepper. I wish they would've included more of the tender florets though, as certain parts here were on the chewy side. 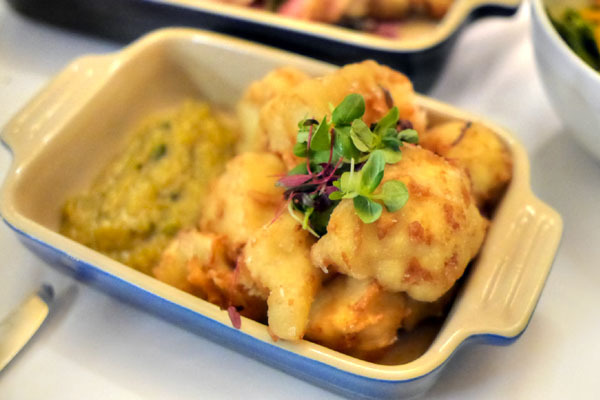 Cauliflower was pretty delectable, showing off a mouth-watering savor that obviated the needed for any of that accompanying sauce. I would've liked a touch less batter on them, however. Porchetta was as fatty and luxurious and in-your-face porcine as you'd expect, tempered only slightly by the hearty cuts of potato present. The best part? Those crunchy bits of chicharrón. A special side tonight, fried Padróns conveyed plenty of sweet-hot heat to round out the savory portion of our meal. 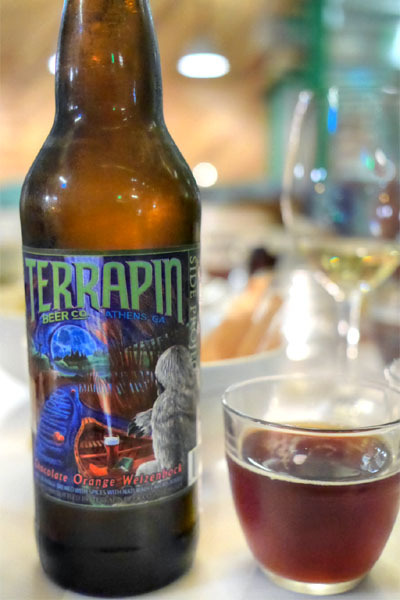 For our final beer, I went with something more "dessert-y," the Terrapin Side Project #22 Orange Chocolate Weizenbock. The chocolate was strong in this one, joined by expected malty, spicy notes and just a whisper of aromatic orange overarching everything. 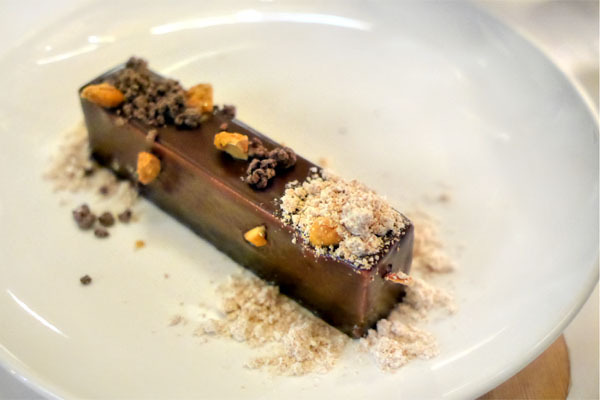 Time for some sweet stuff, and of course we had to begin with Superba's signature dessert, a long cuboid comprising a sort of chocolate mousse wrapped in dark chocolate glaze and topped with Maldon, marcona, and housemade pop rocks. 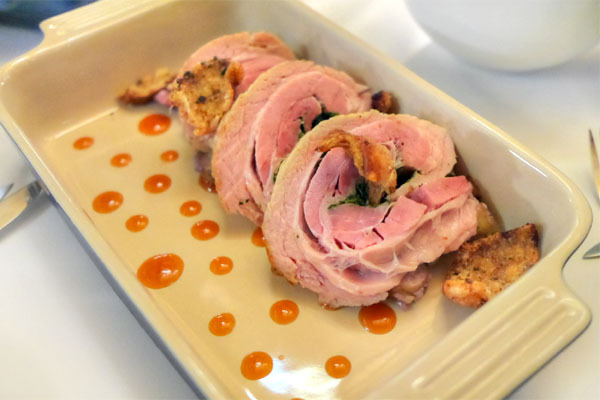 It was an interesting study in disparate elements that did manage to come together into something cohesive, and tasty. This is the one to get. 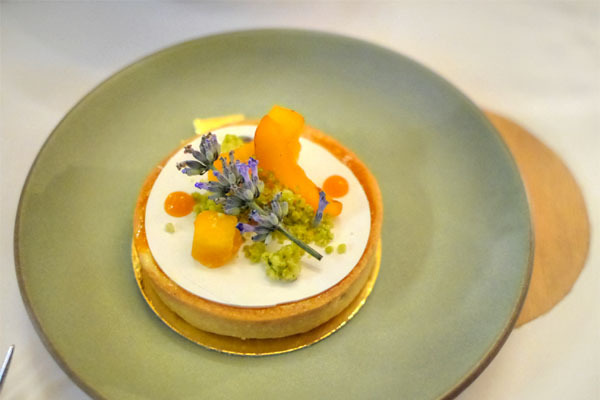 An apricot tart was delightful, really displaying the juicy goodness of the stonefruit against a backdrop of floral lavender notes. 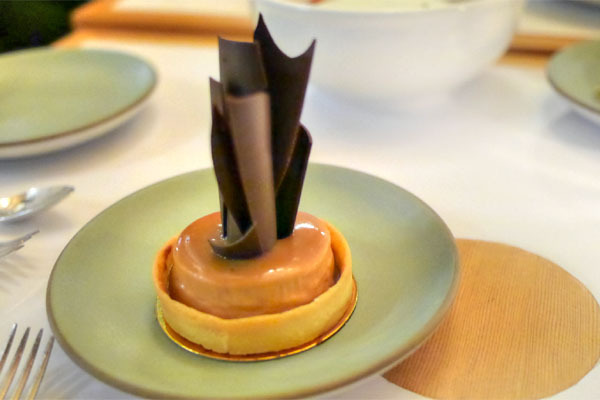 Can't go too wrong with the combo of vanilla, caramel, and citrus. I actually got a little bit of orange creamsicle on this one as well. Particularly good when taken with the Terrapin. A rich butterscotch tart had some Macallan folded in there if I recall correctly. Great contrast between the toffee-esque flavors here and the buttery crust. 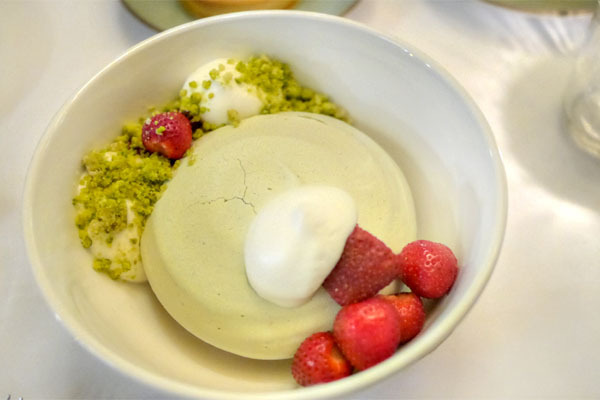 We closed out the night with the restaurant's take on the classic pavlova, an updated example that brought together the winning combination of strawberries and basil, the whipped cream adding a bit more luxuriousness to the dish. 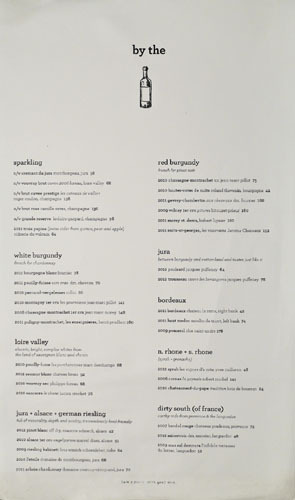 Though I can't really comment on Superba Food + Bread's daytime activities, I left quite pleased with dinner service. There was a nice range of cooking on display here, and the food was actually more elegant, nuanced, and multifaceted than I thought it'd be. Another win for the neighborhood, and another feather in Mr. Hibler's cap it seems. 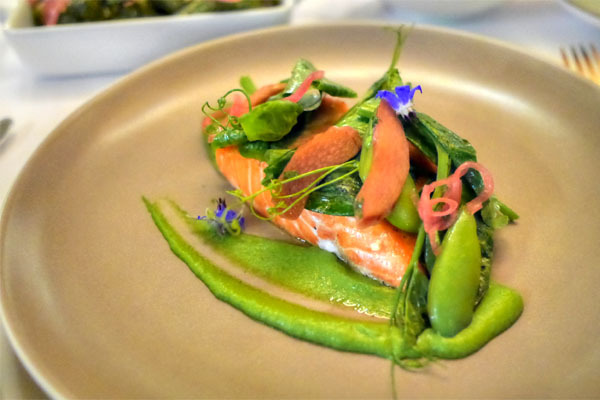 @kevineats the bit on Jason Neroni isnt quite accurate... has has decamped the company, but this was travi's project from the beginning (well before they opened). Can you provide some references for that claim? 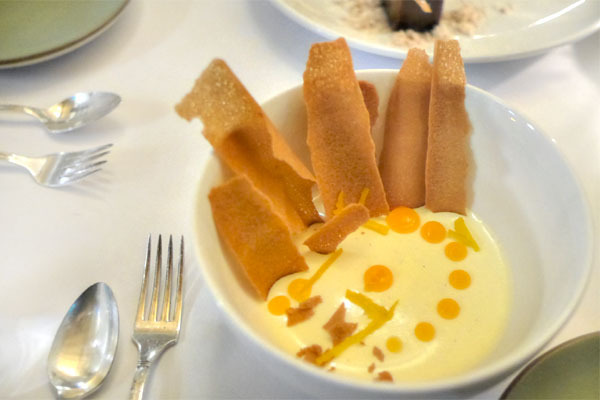 I'm looking at this April 2012 post from Eater, and Travi's nowhere to be found. @kevinEats talking to Paul... he stopped by my store and we had a conversation about it... neroni was going to be on board too, but that ended before the project even got rolling. He was busy with east borough and snack bar. surprised that TBA was fresh, it's been awhile since it's been released. I haven't been a fan of any of their single hop stuff since Citra. I thought the last two, Rakau and El Dorado were particularly average. Pretty disappointed with their offerings lately =(. Jon: My take on what happened is that it was supposed to be Neroni for both Snack Bar and Food + Bread when the two places were first conceptualized back in 2012. However, F+B kept getting pushed back (it was supposed to bow in 2012 as well), so by the time it was ready to go, Neroni was already too involved with the other projects, so they had to bring Travi in.